Ani Veltcheva is at it again after winning the FLYRA Middle School Cross Country Championships in a meet record 3k time of 10:37.59 in late October. 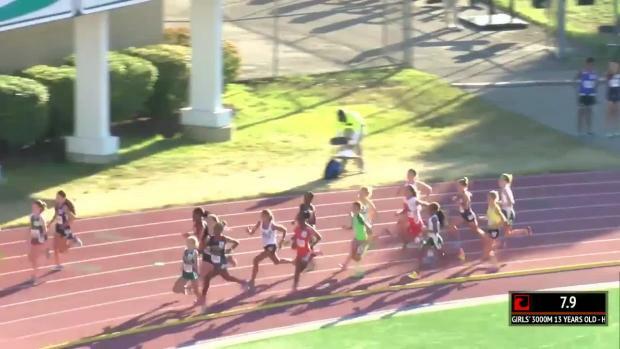 The 8th grader from Abraham Lincoln Middle School in Gainesville defended her AAU National Cross Country Championship crown in Charlotte, North Carolina winning the 13 year old girls 4,000m run in a time of 14:37.07. 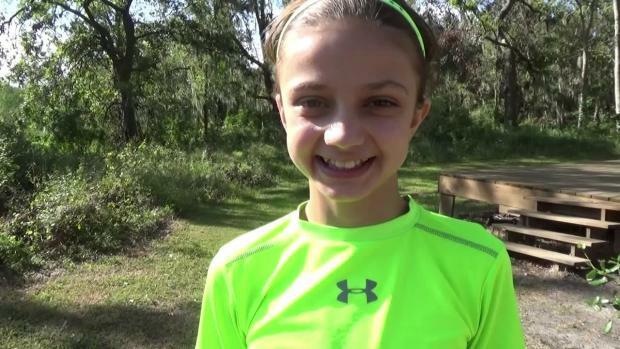 "I am so excited that I had the opportunity to race at the AAU XC Nationals in Charlotte, North Carolina," she said. "I was looking forward to competing at this race, because every year there is always great competition from all over the USA that challenges me and encourages me to do my best." Veltcheva added that the trip to the Tarheel state also allowed her and her mom to enjoy the cooler weather and see some colorful fall leaves, a rare site in Florida that always seems to amaze her. Her time in the race was 25 seconds faster than runner up Amelia Maughan who completed the course in 15:02.13. The day before the race, she jogged the course to familiarize herself with the route and terrain. She admitted that she hardly gets any hill training so that was the most difficult part of the race. "This time I was surprised that running up the hills did not tire me out as much," she said. "That was a relief! There was, however, a part of the trail that had a very steep downhill covered with gravel. I tried my best to slow myself down on this hill, but it was simply too steep. Before I knew it I was going too fast, so I decided to just let my legs go and move on their own, letting gravity do the work. I got a bunch of momentum and maybe even saved up some energy this way too." It's interesting to note that this was Veltcheva's first time running the 4k distance. 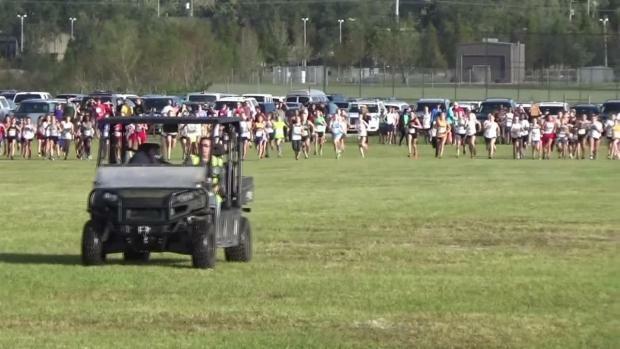 She will have another opportunity this Saturday as she competes at the USATF National Junior Olympics XC Championships at Apalachee Regional Park in Tallahassee. "I have run at Apalachee Park before, but have never done a 4k there," she noted. 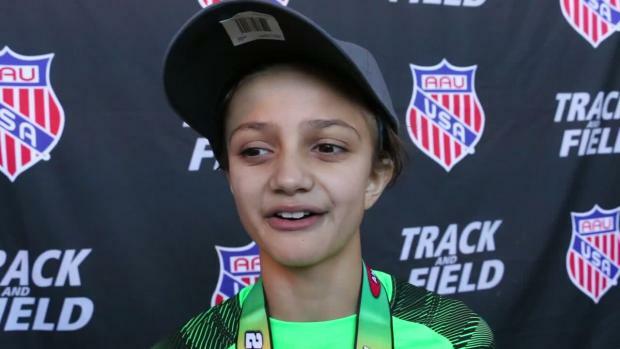 "I know that there is a bunch of really fast girls that are going to be there, so I can't wait to run next Saturday, do my best, and most importantly have fun!" It's the same venue she won her AAU title last year and will be the third time competing in the event. 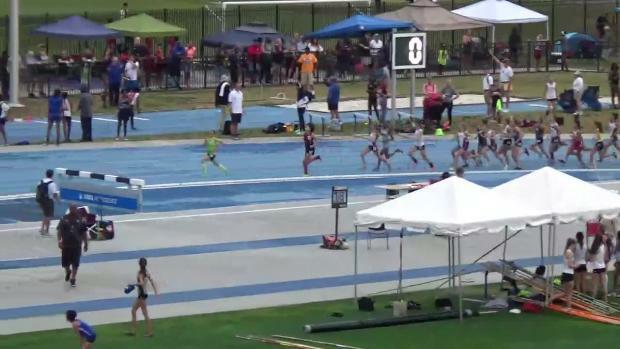 Last year, she finished runner-up behind Elizabeth Lucason with a time of 11:19.53 for 3,000 meters in the 11-12 year old girls division.